almost unbelievable that despite the technology for marine study has evolved for years, a lot of things about the whale sharks remains a mystery. 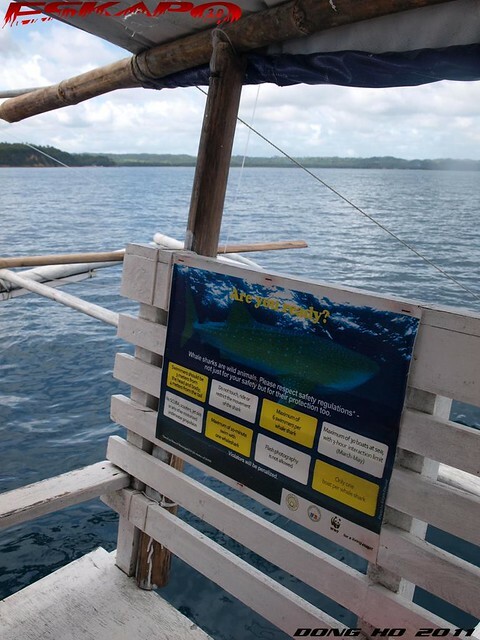 it was just only 2years ago that the locals in Donsol Sorsogon in the Philippines first recorded a baby whale shark. National Geographic featured it in their article "Smallest Whale Shark Discovered". it was the whale shark season again and we headed far South of Manila, where the largest number of these species in the Philippines are sighted every year. from February to May, the volume of planktons are enormous in the isolated village of Donsol. way back 2004, Time magazine named the Whale Shark interaction in the Philippines as the best destination for animal interaction. 5. 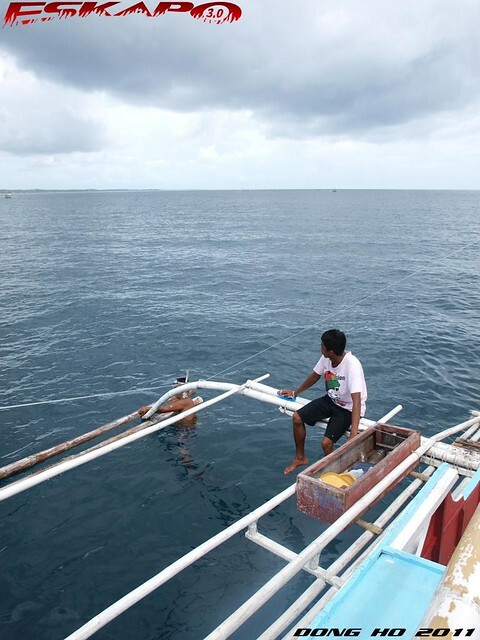 Required wooden tool to protect the whale shark's tail from hitting the boats propellers. after registration and video briefing, we were assigned to a boat, a guide, a boatman, and spotters. on peak season, one has to wait until the next boat returns. snorkeling gears and flippers are available for rent outside the center. sky turned darker and started to drizzle. 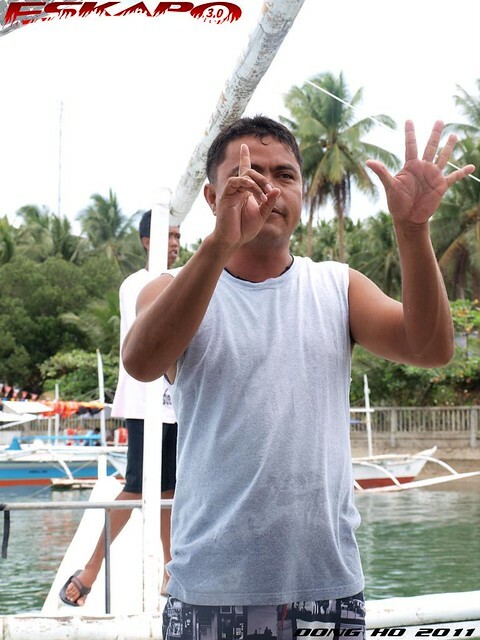 as soon as our group was called we went to our assigned boat, the guide gave the final orientation and some facts on the butanding, the local name of whale shark. our boat headed West and the spotters positioned on top of the boat's pillars. after half an hour the sky was darker, still no sighting. we instead saw a group of dolphins off the shore to Masbate. after an hour, the whole group was still excited but the chance of seeing became less. at that time, i said "one sighting will be enough". as the guide would always say, there's really no guarantee of seeing. the guide says that one factor that would cause the whale sharks to go deeper would be the dark skies as it signified rain and rough waters. we were also there in May, where the whale sharks were already migrating off the Pacific. we went farther but still navigating along the nearby coast where the most number of sightings observed during that week. passed by some other boats, all with its own spotters showing no sign of giving up. we remained hopeful enjoying some of facts of the sharks from the guide. until the time when all the boats went to the same direction. a sighting. finally! just as our guide directed us, we all positioned on one side waiting for the cue to jump. snorkeling gears and lifevest ready and as soon as the boat was in position the guide instructed "jump, follow me and look down". water was blurry, no sign of what was supposed to be large and massive. suddenly a large and wide grayish fish passed about two meters below us. it was swimming gently so close that it seemed like it was already hitting the sea floor. we were actually just less than 20feet deep. swam as quick and as far as i could to catch up with the whale shark. soon as it went off the blurry waters, found out that i was already far away from my group. had to swim back and find the boat assigned to us. the experience was amazing adding to the fact that we've waited for more then an hour. we then went ahead the direction of the whale and just while were still sharing our own experience, our guide shouted "position your self". we were to jump again for another encounter. the whale shark that we've seen was about 7meters, still a young one as sightings of adults were seen here reaching up to 10-12meters. after three encounters, we headed to another spot. this time, far off the coast in the East. we learned from our guide that whale sharks' top portion are the hardest part. used to protect it from its predator the great white shark. 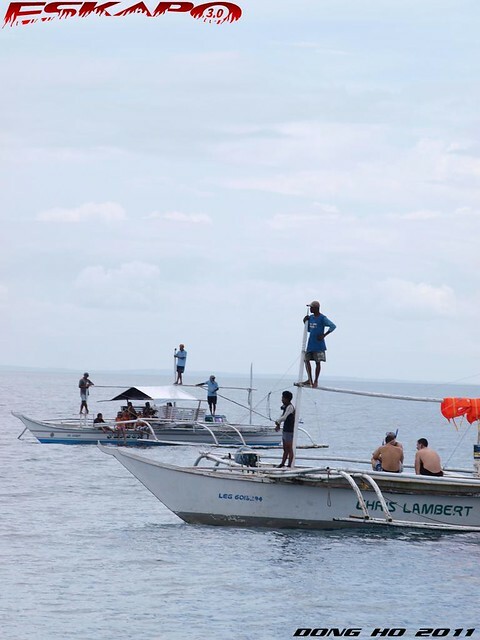 when we reached the spot, in just few minutes we saw the shade of another whale shark. it was surfacing that it was that clear even from the boat. we were in position again and this time, the whale shark passed by so close. just about two feet away that with a slight stretch of my arm i will actually touch its side but holding it was prohibited. this one was really huge and the white spots were very visible. the fins, the tail, large. just as we went up, everyone was cheering. we did more jumps and ended up heading back the coast with three whale sightings and seven encounters. the experience was superb that i'll definitely be back next year. just borrowed the video from Lenka in youtube. by land: one can take a bus from Manila to Legazpi City in Albay (8hours) and take a van at the central van terminal to Donsol Sorsogon (1hour). by air: there are daily flights from Manila to Legazpi City (1hour) and take the van to Donsol at the central van terminal of Legazpi. 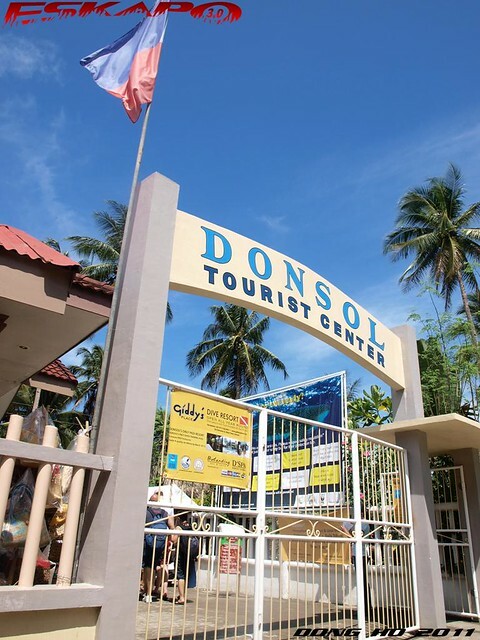 when you reach Donsol, inform the van driver to drop you at the Donsol Tourist Center for the Whale Shark Interaction. 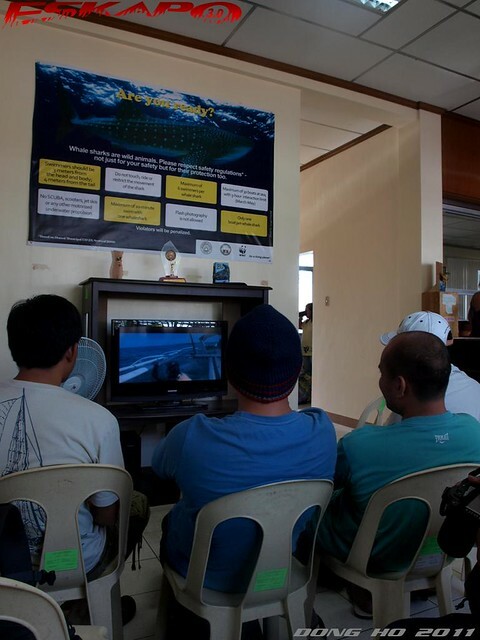 1. sightings of whale sharks in Donsol are from February to May but the best time is February when the whale sharks are still in large volumes. 2. if you really want to catch up with the whales, you can rent fins but as caution, make sure that you don't hit the shark with these. 3. van trips to Legazpi are limited and has no schedule, so if possible arrange with the van drivers to wait for you giving them your estimated time of return which you can confirm from the tourist center. wow! 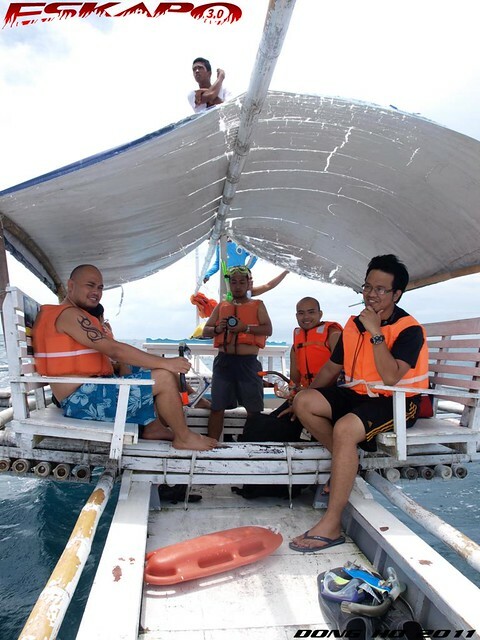 I've been wanting to do this too after my dolphin watching experience in Bohol. Nabitin ako, and I'm still craving for more. 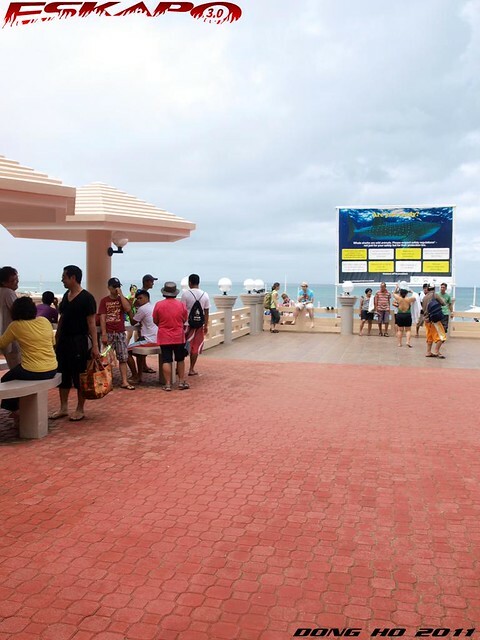 Boring na ang Whale and Dolphin spotting lang. Imagine swimming with these huge creature. That was awesome! Thanks for sharing. I badly need this. Target ko na yan next year. But the ending was a delight. May araw din sakin yang mga butanding na yan. I'll get my fins and snorkel set ready. >malditang kura-cha, youll definitely love this. i recommend that you go there on Feb where they often surface and are still in large numbers. ill look forward to your experience next year. im going back too. >Tina, let's go there next year. >Chyng, yihaa! tingin ko magkikita kita tayo dun. awesome encounter indeed. was supposed to go there june 2 pero proceeded to Manila instead for a business trip. sayang din sana but like chyng, may araw din sakin ang mga butanding na yan! these whale shark are so huge!i almost panicked when i saw his huge mouth just below my feet. LoL!! it was a priceless experience!! Love it! congrats for seeing the butanding up-close.i saw it too, though in the comfort of the boat nga lang LoL! i don't know how to dive. pwede ba kahit snorkling skills lang? i hope to catch them too soon. OMG, looked scary on the encounter with the shark. You all looked like food to the shark lol. Thanks for sharing your experience with us. Nice post. Dom, is it possible to have goosebumps under water? 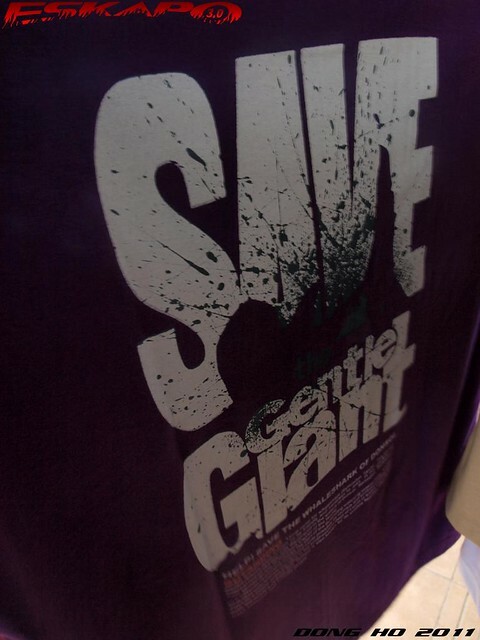 a close encounter with this gentle giant would definitely give me goosebumps. this must be an awesome experience. 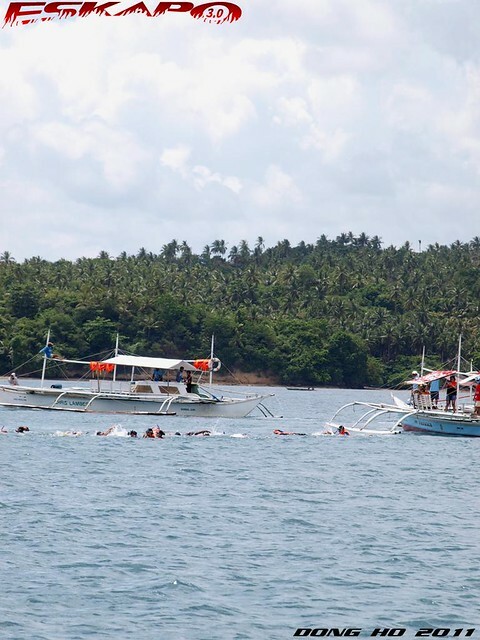 i'm not a good swimmer, the reason why i didn't go to Donsol when we were n Bicol last year. >Ed, buti na rin di mo tinuloy kasi usually pagJune, mahirap na makakita. even in May chance is less. >Theo, hahaha... sino nga naman di magugulat kung para kang kakainin. experience was indeed priceless. >Reena, yes. you're wearing lifevest so it really wont be difficult. >Alicesg, we sure did. with its size. the ones weve were actually just that of young adults. >Luna, maybe at first for some. in my case, i found it fun swimming with it. regret was i didnt rent for fins. i hope you get to do it there next year. Isn't it difficult to dive with a life vest on? very exciting when one sees these creatures up close. kakatakot din also. ang galing!!!! !daming tandang padamdam kasi na-excite ako habang binabasa at pinanuod yung video. Snorkel lang pala.kala ko you need to dive deep na mala-scuba pa to see them kaya iniiwasan ko tong topic na to dati.pag sinabi nila whale shark watching---sabi ko lang ah okay---which shows I am not that interested. pero dahil dito.gusto ko na!!!!hahahaha. kelan ba. so kung season ngyn--by december ba wala na Dom? awts. weeehhhh! finally. pumunta din kayo ng donsol. 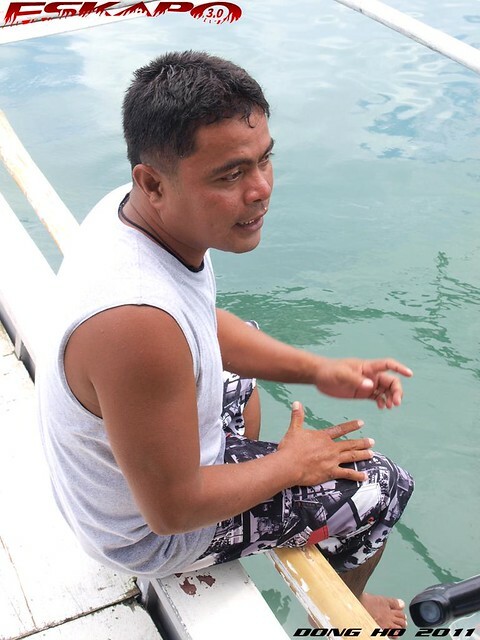 magkano na pala boat rental don? dati kasi ng pumunta kami nasa 2500 na. the way you wrote this post was riveting. akala ko may picture ka na katabi ng butanding, haha! feeling ko maiiyak ako sa sobrang tuwa if i get that close to a butanding.. :) nakakaingit!